L and M Arts presents an exhibition of twelve paintings from Andy Warhol's series of Campbell's Soup Cans. 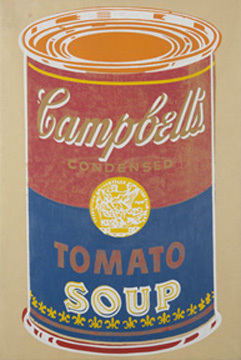 In 1965, Warhol executed the iconic Tomato Soup can in twenty unique color combinations. The exhibition opens tomorrow, April 21 and runs through June 11, 2011. For more information visit www.lmgallery.com.